Walk into this room - wow - you're rocked back on your heels by the opulence. 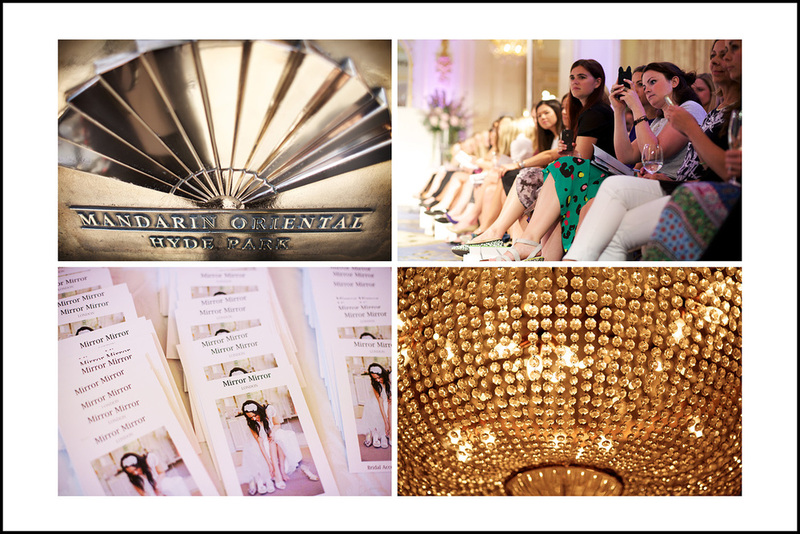 I had been asked to shoot a catwalk show in the ballroom of The Mandarin Oriental Hotel, Knightsbridge, organised by the market-leading magazine Brides. 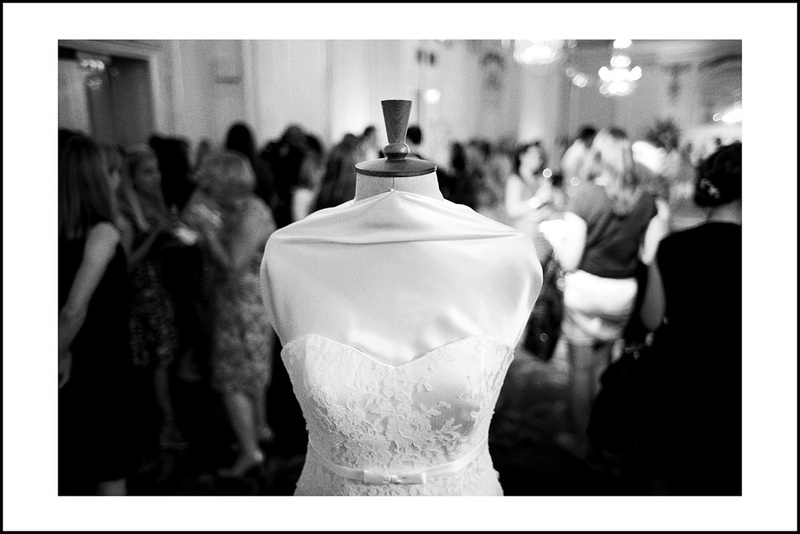 The client was Mirror Mirror Bridal, with whom I'm developing a terrific working relationship. 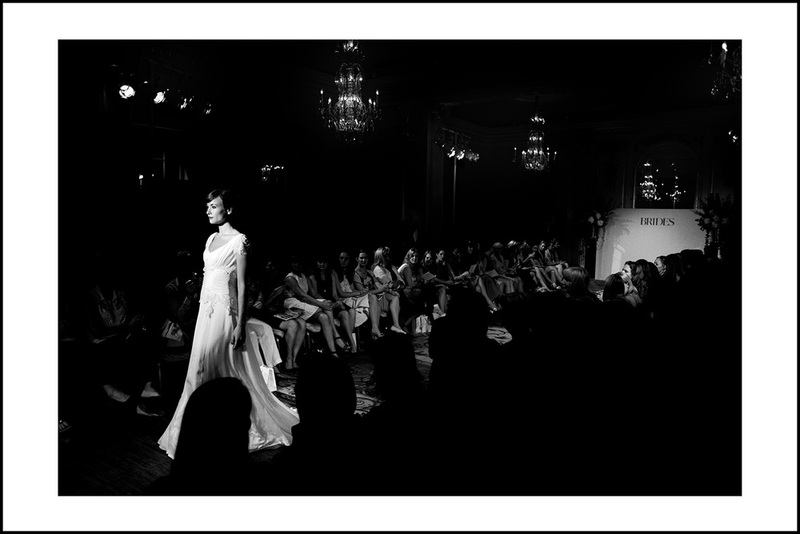 The London Atelier would be showing some of their stunning couture designs. On display were the best couture dresses from the country's leading designers - the cream of the cream. It was a terrific opportunity to really nail some atmosphere and record the wider scene. I've picked this example from the set because it not only shows a gorgeous gown, but also the style of the room. 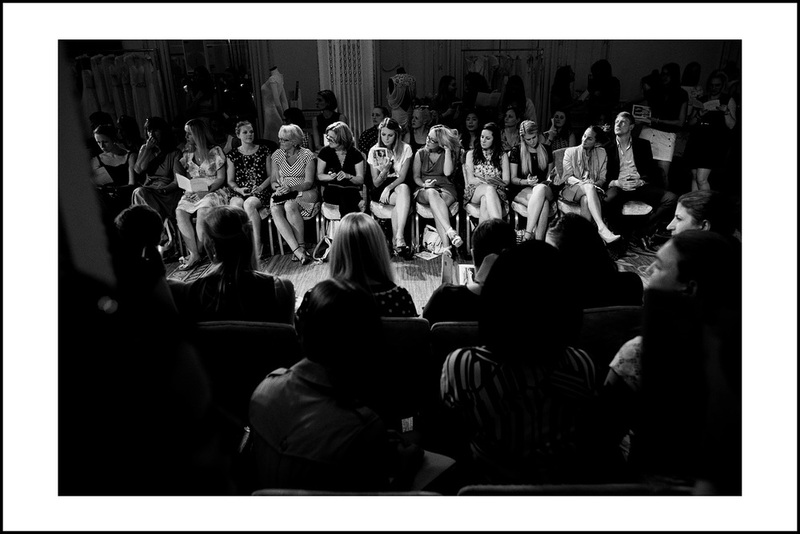 And, I feel, you can really sense the anticipation of the audience as some truly beautiful dresses were unveiled.